A new batch of documents and evidence has been released in the George Zimmerman shooting death of Trayvon Martin detailing the police investigation. The latest document dump is 284 pages of some very interesting evidence that point to the obvious conclusion that Zimmerman did not target Martin because of his color. As much as the liberal MSM and race baiters tried to gin up hysteria with false claims of racism, that just appears not to be the case. Now it is just a matter of whether this second degree murder trial of George Zimmerman is based on facts in evidence or emotion and the fanning of racial unrest. The latest stack of documents – 284 pages worth – is a compilation of witness statements and investigators’ reports collected by the Florida Department of Law Enforcement and the FBI in the weeks following the Feb. 26 shooting. While the documents, some heavily redacted, don’t contain any bombshells, they do confirm the extent to which authorities, both local and federal, ramped up their evidence-gathering in late March and early April after the story made front page news across the U.S.
Gerorge Zimmerman, not a racist. The documents released confirm what many of us presumed for months, the crime was not a result of racism, it was because an eager individual thought that another individual wearing a hoody looked like the person who had committed previous crimes in the neighborhood. The result of the two encountering each other left one of them dead. 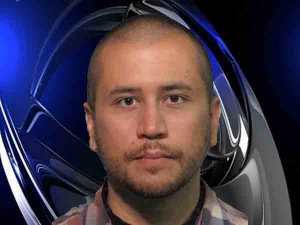 George Zimmerman, charged with second-degree murder in the shooting death of Trayvon Martin, had a “little hero complex” but was not a racist, a Sanford, Florida, homicide investigator told federal agents, according to reports released Thursday. In an interview with FBI agents in March, investigator Chris Serino told authorities he “believed that Zimmerman’s actions were not based on Martin’s skin color, rather based on his attire, the total circumstances of the encounter and the previous burglary suspects in the community,” according to an FBI report. The reports and other information in the case against Zimmerman were released Thursday by Special Prosecutor Angela Corey to Zimmerman’s attorney. New George Zimmerman Evidence: 8 Things You Need to Know. The question is will the facts and the evidence matter when a jury pool has been so tainted by the MSM, the race agitators and even President Barack Obama. Trayvon attacked Zimmerman…the blacks should be totally ashamed of themselves for the way they behaved. And Zimmerman should sue Sharpton!!!!!! I agree about Sharpton. Anytime you want to make a bad situation worse call in Sharpton.